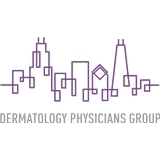 DERMATOLOGY PHYSICIANS GROUP (Chicago) - Book Appointment Online! Dr. Stephen was wonderful and answered every question I had. Now I know why he has such great ratings... extremely well informed, professional, quick & caring. Best dermatologist I’ve ever been to!